The range of AS Motor Brushcutters are made for use in tough conditions including areas of extremely dense growth, slopes and rough terrain whilst still manoeuvring effortlessly around obstacles and trees. Pedestrian Brushcutters - The range of Pedestrian Brushcutters includes the AS 63 which offers a high performance and easy handling solution to cutting high grass even on steep slopes or where access is limited. Its low weight, vibration damping and handlebar adjustment makes the AS 63 exceptionally user friendly, and its fold down handles ease transportation and storage. 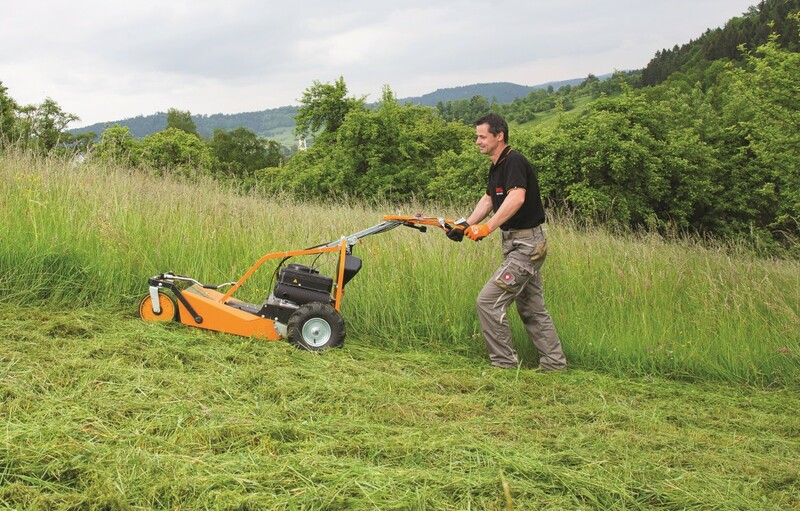 There are also twin wheel kits available and the AS 63 is available with either a 4-Stroke engine or a 2-Stroke engine which offers an extremely powerful machine with outstanding climbing ability. Mulch & Mow in one step: The cross-blade system easiuly cuts and chops even high growth with excellent mulching results. Permanent traction: The robust transmission with limited slip differential ensures reliable and safe working even on difficult, steep terrain. Vibration damping: Through vibration and impact damping, hand-arm vibration is reduced to a minimum. Ride-On Brushcutters - AS Motor also offer an extensive range of Ride-On Brushcutters and the AS Motor 940 Sherpa has taken the market by storm, taking man and machine into places that previously were inaccessible, including into brush and brambles that are thicker and up to 1.5 in height. Blade System: AS brush cutter mowing deck with interchangeable flexibly mounted blades cut and shred at the same time. With All-wheel drive: Permanent all-wheel drive, better traction on up and downhill, as well as the ability to brake when riding downhill, when compared with a 2-wheel drive model. Comfort seat: Variable adjustment bucket seat and innovative suspension system ensure operator comfort. Surfing cutting deck: The blade cover allows vertically evasive movements in uneven terrain, to protect the mower deck and provide greater ground clearance. 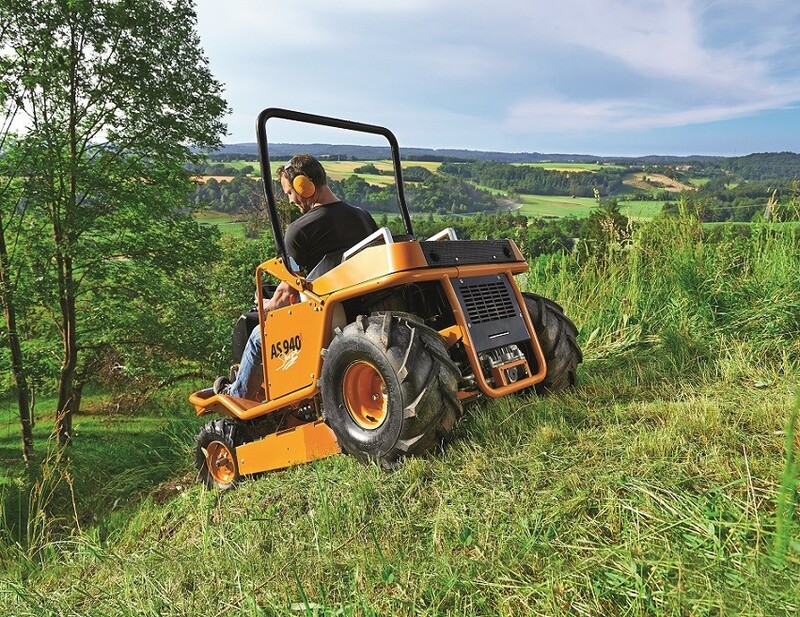 The AS 940 is also available as a remote control model which with a 300m range offers a great safe solution for mowing areas where the operator can’t access eg steep slope, under trees or into nettles and brambles.